Prior to joining the University of Surrey, Thomas studied at the ESRC Doctoral Training Centre at the University of Southampton. His PhD thesis focuses on the themes of human needs, equity and wellbeing within residential energy demand reduction and climate change mitigation. Alongside his PhD, Thomas also worked at the Sustainable Energy Research Group on the RCUK funded project ‘Community-Based Initiatives in Energy Saving’: a four year study aiming to assess the impact of community greening groups on a roll out program of insulation upgrades in privately owned housing. 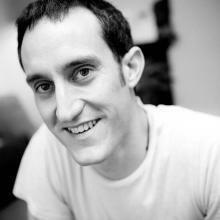 Thomas has an MSc in Architecture: Advanced Environmental and Energy Studies awarded by the University of East London. Before embarking on his academic career, he spent a decade working in engineering consultancy.